Ladoke Akintola University of Technology, LAUTECH Students’ Union Election guideline for 2017/2018 academic session. 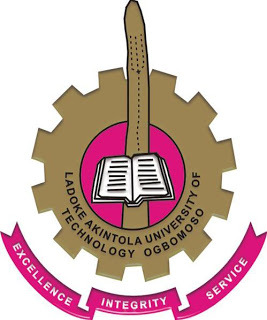 The management of the Ladoke Akintola University of Technology (LAUTECH), Ogbomoso has released the guideline for the 2017/2018 academic session Students’ Union Election. 1. Faculty staff Advisors shall be in charge of monitoring the election in their respective faculties. 2. Election shall be conducted by using E-voting system and accreditation by using Biometrics. 3. Election commences by 9am and ends by 3pm. 4. Registered students as at Harmattan Semester 2017/2018 with Matric Number 12, 13,14… shall be eligible to vote. Present 100 and 200 levels shall not be eligible to vote. GO TO YOUR DESIGNATED VOTING CENTRE AS LISTED. Course registration form of Harmattan semester 2017/2018 duely signed by Head of Department. 7. Go to your designated centers for Biometric Verification. 8. Proceed to the voting point, and log-in with your Matric Number and portal password.